Ever since Byram Laboratories was founded in 1910, we have maintained strong relationships with numerous manufacturers, enabling us to provide and create products for all types of applications. Whether you are looking for a standard socket, enclosure, wire-way, or a customized product; Byram can be your one stop shop. With options ranging from Explosion Proof Enclosures, to Custom Painted Stainless Steel Sockets, let Byram be the source for all of your needs. 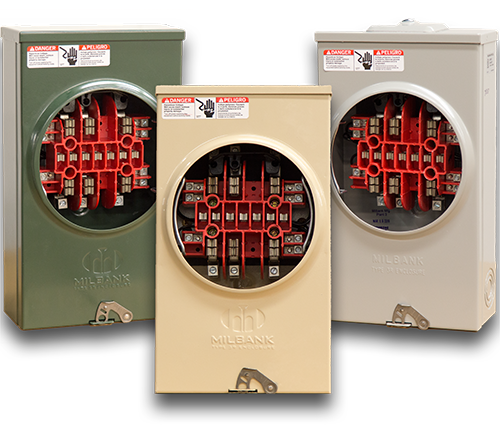 Milbank meter sockets have been the standard for quality since 1927. With a 99.7% quality performance, thousands of active products to meet your customer's requirements and tens of millions of sockets installed across the globe, their products help keep energy at work. Landis + Gyr has been the standard for quality and innovation for meter mounting equipment for over half a century. Durham specializes in the manufacturing of metering sockets, socket/breaker, switch combinations, CT enclosures, test switches and pad mounted enclosures. Eaton provides energy-efficient solutions that help customers effectively manage electrical, hydraulic and mechanical power safer and more efficiently. Hammond Manufacturing is the absolute best place to start when you need to find the right enclosure. You can find thousands of enclosure solutions to suit your given application - mild steel, stainless steel, aluminum and non-metallic boxes in dozens of unique configurations. Gaylord Manufacturing has been one of the leading manufacturers of electrical enclosures, fasteners and metal stamping since 1958. Centrally located in Northern California in the city of Ceres, they supply the commercial, industrial, electrical and agricultural industries with products which are manufactured from steel to stainless steel. 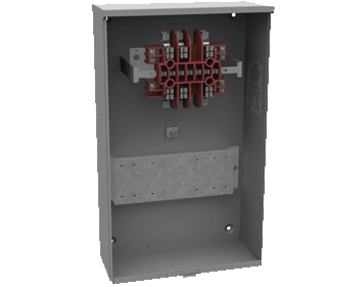 Akron manufacturers have a complete line of aluminum explosion proof enclosures that include: Junction Boxes, Control Stations, Circuit Breakers and Conduit Outlet Boxes. 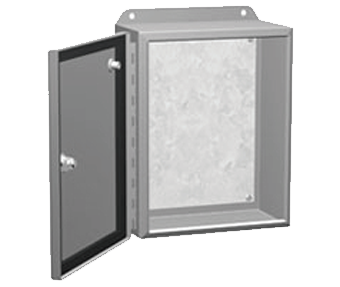 Wide range of electrical enclosures, racks and cabinets in a variety of grades for both indoor and outdoor applications. Variety of wire ways, both lay-in and pull through, designed to enclose and protect multi wiring junctions from hazards such as dust, oil, dirt and water.